We are one of the leading manufacturer, supplier & exporter of Band Saw Machine, Vertical Band Saw Machine, Horizontal Band Saw Machine. Our other product are Nail Making Machine. Our vast industry expertise has led us to manufacture, supply and export Horizontal Band Saw Machine for our precious machines. 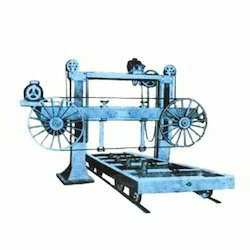 These band saw machines are extensively used in multiple industrial applications and provide high accuracy to the customers. Their immaculate design has been developed by our experts using premium quality materials and advanced technology. Customers are reasonably charged for these machines.